Are you hosting a roulette party or tournament? Reward your lucky betters with the Casino Roulette Acrylic Trophy! 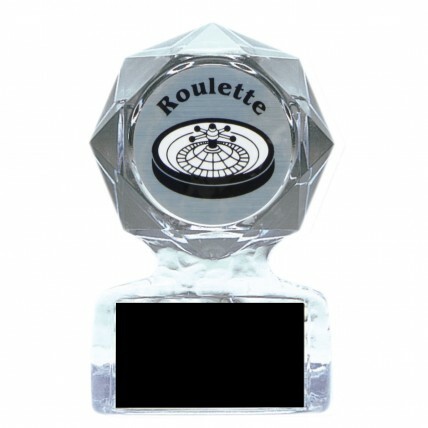 This award has a clear geometric star that holds a 2 inch metallic silver mylar with a black and white roulette wheel image. Your engraving will be etched in silver on a black aluminum plate. Your choice of two sizes for this award.